Many Students Won't Have To Repay Career Education Corp. Loans Under a settlement with state attorneys general, Career Education Corp. won't collect some $493 million. It also will be more transparent about the costs and benefits of its programs. 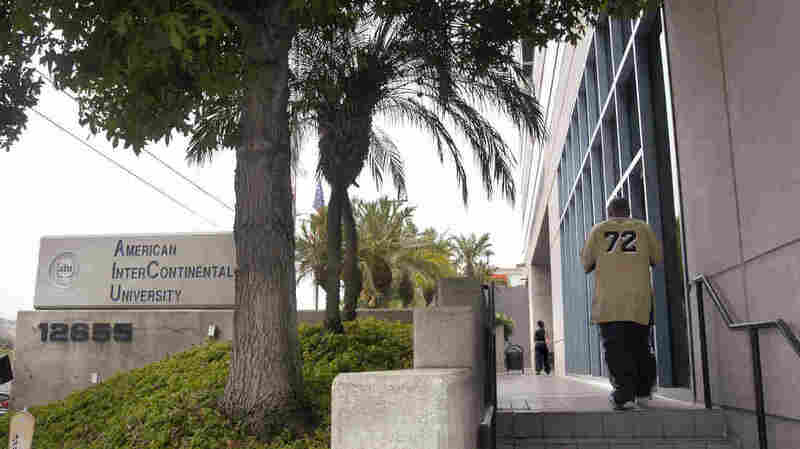 American InterContinental University, a Career Education Corp. school, is seen in Los Angeles in 2004. CEC has entered into a half-billion dollar settlement with state attorneys general over recruitment practices. Nearly 180,000 students who took classes offered at Career Education Corp.'s dozens of campuses over the past 30 years won't have to repay loans they took out with the company. The total amount of the debt is $493 million, while the average amount per student nationally is $2,750. 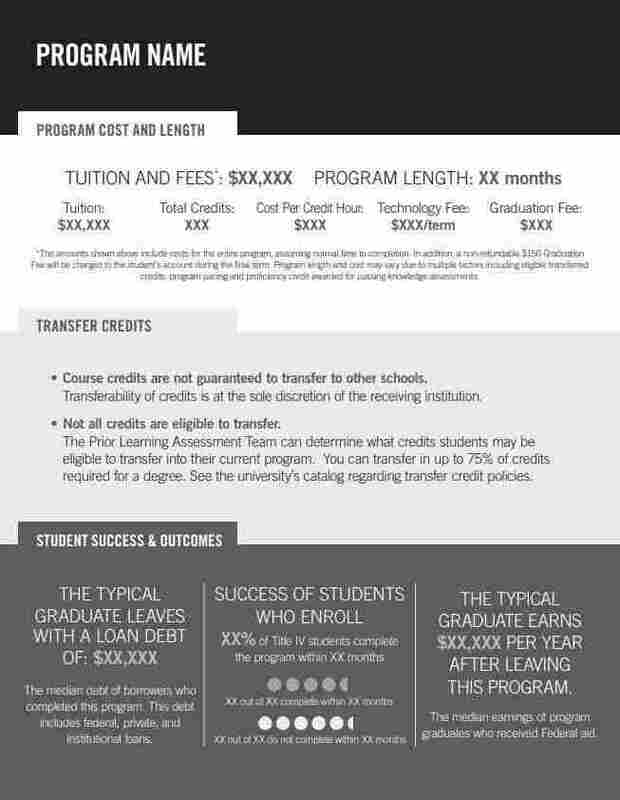 The settlements, announced Thursday, describe a pattern of deception that misled prospective students about the potential cost of enrolling in CEC's programs and their job prospects after graduation, among other issues. The company denies any allegations of wrongdoing or liability. "Career Education institutions are committed to providing a quality education that closes the gap between learners who seek to advance their careers and employers needing a qualified workforce," it said in a statement. But the investigation launched by the state attorneys general in 2014 centered not on the quality of the education, but instead on how it was promoted. The states say CEC used "emotionally charged language emphasizing the pain in prospective students' lives to pressure them into enrolling," misrepresented how school credits could be transferred to other schools and told admissions counselors to withhold important information about tuition costs. "Today's settlement ensures the company treats students the way they should have been all along – with honesty and respect for their futures," read a statement from Illinois Attorney General Lisa Madigan, who helped lead the inquiries into CEC. CEC currently offers courses through American InterContinental University and Colorado Technical University. It has closed many of its other schools over the past decade, including Le Cordon Bleu North America, Briarcliffe College and Sanford-Brown. Students might still be responsible for any federal loans to pay for their education through CEC. "This agreement not only provides relief to former students, but also protects future students and advances our efforts to clean up the for-profit education industry," said Iowa Attorney General Tom Miller in his own statement. The settlement comes as the U.S. Department of Education under Secretary Betsy DeVos has tried to roll back regulations protecting students, including those at for-profit schools. Those items include two significant rules — known as "borrower defense" and "gainful employment" — that remain in place despite those efforts, as NPR reported in October. "Borrower defense outlines how students can get their loans forgiven if their college defrauds them. Gainful employment sanctions colleges where too few students are able to find jobs that pay enough for them to repay their loans. "The current gainful employment rules could stay in effect as long as July 2020. Borrower defense has been held up; a federal court [in September] found that DeVos already illegally delayed its implementation." Other for-profit colleges and education companies have shuttered in recent years. Last month, the Education Corporation of America closed amid financial problems while 20,000 students were still enrolled. In addition to the debt relief, which will be announced to affected students by mail, the terms of the settlement require increased transparency from CEC and a one-page disclosure sheet about costs, potential debt, earnings for relevant professions and job placement rates. It also mandates the establishment of a "risk-free trial period," mandatory orientation in study skills, and financial and computer literacy for some new students. In 2013, New York's attorney general reached a $10 million settlement with CEC because of similar complaints. CEC says California will be the final state to enter into an agreement with the company in a separate, forthcoming deal.